Since every other automaker has hooked a giant basketball pump up to its typical car design and inflated it into a big, awkward, hulking plague of a vehicle, even the luxury-supercar makers are getting on board. But McLaren isn’t into all of this. There won’t be a McLaren SUV, the company said. Crossovers and SUVs are kind of like that bad fashion trend you make fun of for months before finally deciding, Well, it actually doesn’t seem that bad, and it’s really kind of cool. That appeal is all a figment of your imagination, however, which you realize when you look back on the photos a few months later when some new, dumb fashion trend has taken over. The problem with crossovers and SUVs, for people who are sick of seeing them debut again and again, is that these things bring in serious cash and they’ll be around for a lot longer than those platform sandals were because of it. They’re so popular these days that Lamborghini made one, Aston Martin’s making one, and Ferrari, once ready to die in the fight against SUVs, plans to make one too. “I’m not the first person to point out an SUV is neither particularly sporty or utilitarian,” said McLaren’s chief designer, Dan Parry-Williams. 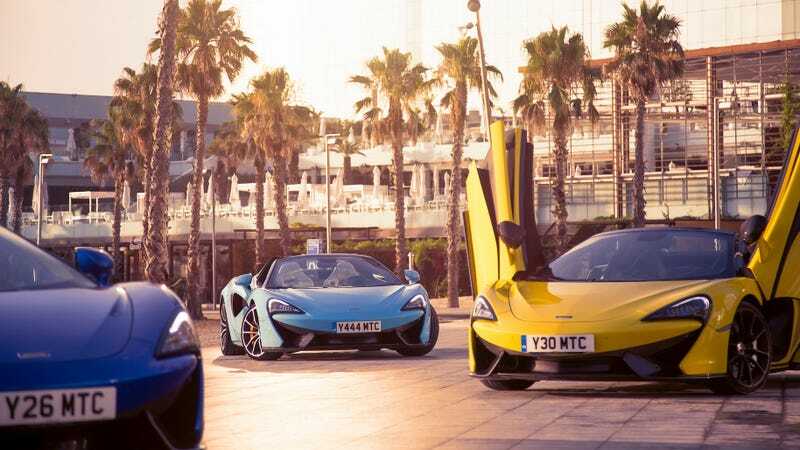 But McLaren has also confirmed all of its planned new cars will sit within its three model structures – Sports Series (the 540 and 570 sports cars), Super Series (the 720S and any future derivatives) and Ultimate Series (the old P1, new Senna and the BP23). Good on you, McLaren, for not feeling like you have to copy all of the other kids in class. They’ll all look back on those platform sandals and velvet chokers, wondering why they ever thought that was cool, while you can appreciate the less out-there fashion choices you made back in the day. Unless you pull a Ferrari on us, that is. Don’t pull a Ferrari on us.